Designed to overcome the failings of conventional, static research on volatile high technology topics, SmartSphere offers business intelligence on Smart Systems and Services players, events, investments and alliances, compiled with commentary provided by experienced researchers and analysts. 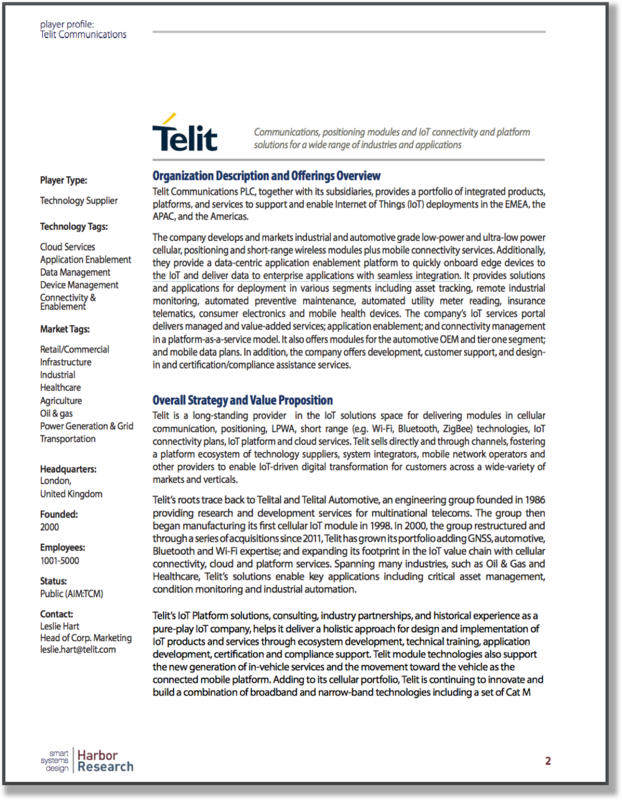 Telit develops and markets industrial and automotive grade low-power and ultra-low power cellular, positioning and short-range wireless modules plus mobile connectivity services. Additionally, they provide a data-centric application enablement platform to quickly onboard edge devices to the IoT and deliver data to enterprise applications with seamless integration. Telit is continuing to innovate and build a combination of broadband and narrow-band technologies including a set of Cat M and NB-IoT modules that are poised to drive new revenue streams for the company. 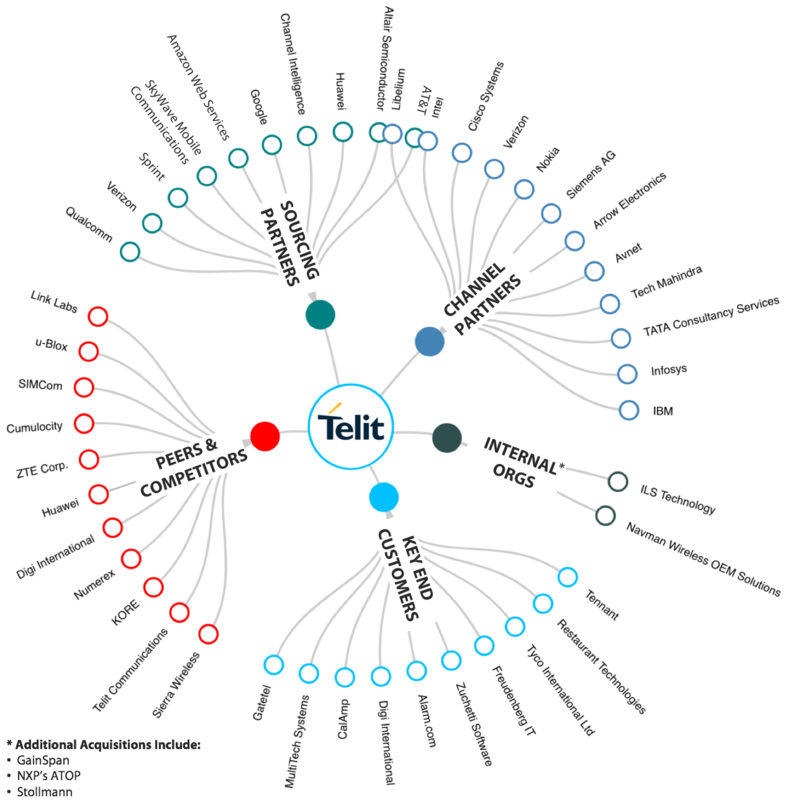 With a historically strong M&A strategy and product roadmap, Telit has an opportunity to bridge the gap between traditional and emerging markets. Telit sells directly and through channels, fostering a platform ecosystem of technology suppliers, system integrators, mobile network operators and other providers to enable IoT-driven digital transformation for customers across a wide-variety of markets and verticals.